LOVE that they took the effort to print the silhouettes inside the box! 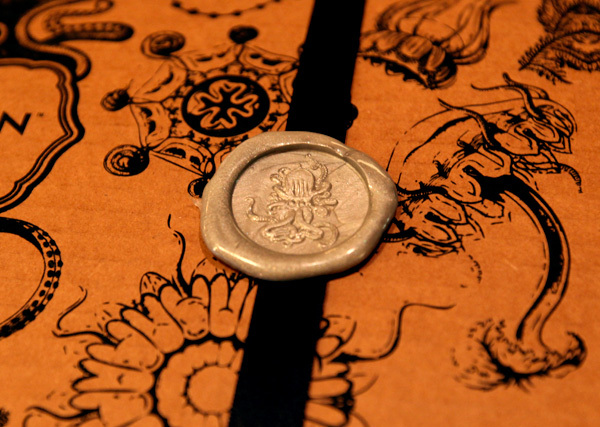 And the detail on this wrapping paper inside?!?!?! and then you start to find all the goodies… designed and thought out to every cheeky little piece of copy and imagery you can imagine… the whole box must have been a packaging/branding designers dream! 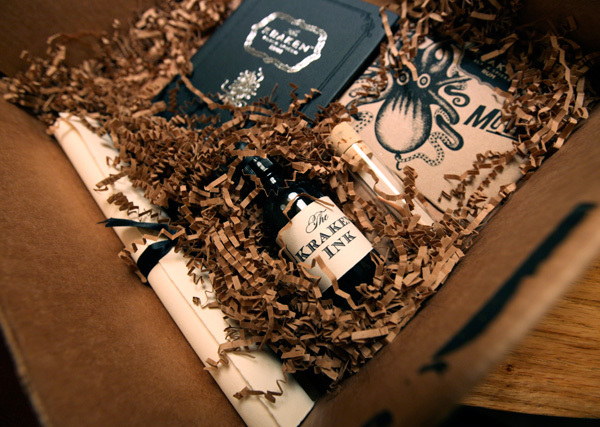 I must admit i’m tempted to want to break out the ink and feather, and write an elegantly doodly thank you note back to The Kraken ~ once i get my official NOTCOT wax seal, of course. 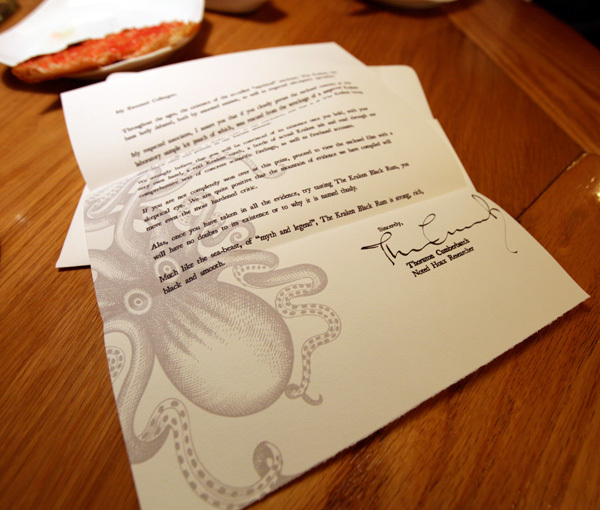 Letter signed by Thornton Cumberbatch, the Noted Hoax Researcher. Lamb skewers… fried quail egga… see how difficult it was to focus with so many things i wanted to do/eat/talk about during this lunch??? 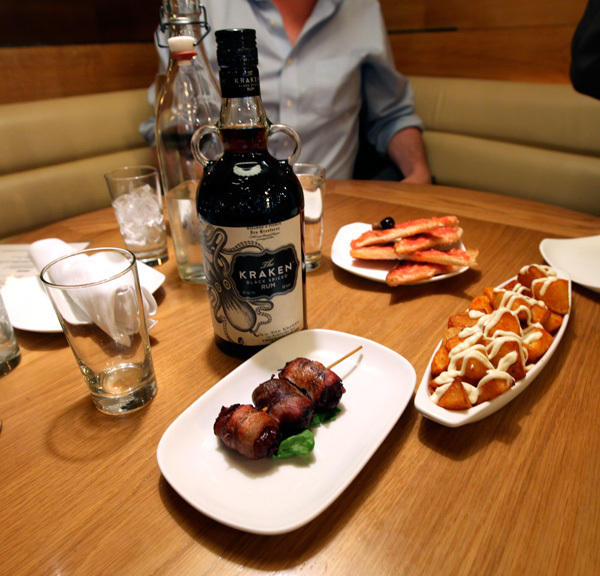 bacon wrapped figs… delicious potatoes… and rum. 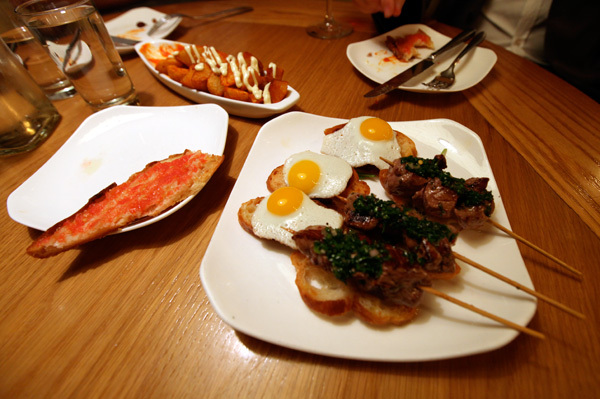 OH, and if Boqueria sounds familiar, maybe it’s because you are an Iron Chef junkie, their chef, Seamus Mullen, is on this season’s The Next Iron Chef! So if you’re in NY, definitely try out their flatiron or newly opened soho location! Recently tried this rum in London when they did not have any Morgans. Tastes brilliant. That package looks really cool as well. 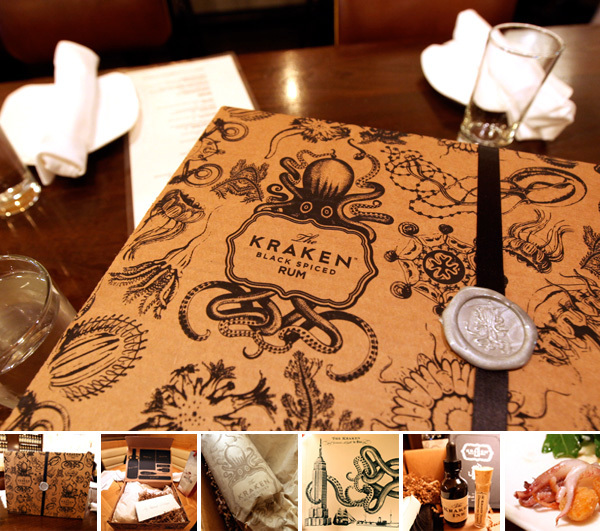 I tried The Kraken & it is an amazing rum. One drink & I was hooked. 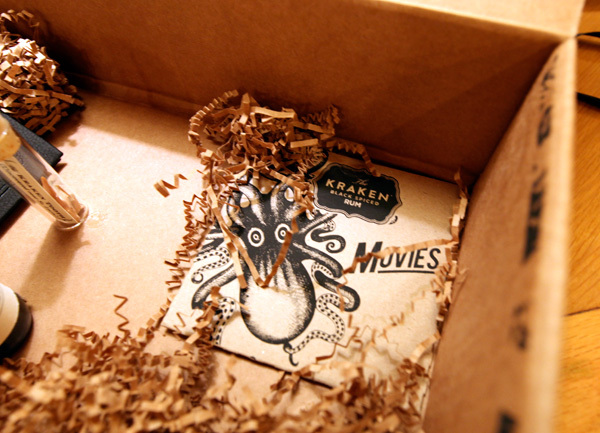 I would also love to have one of those promotional boxes. Yes is this a promotional box? I have looked at the website and the free poster and book say coming soon, I also tried their product store location link and nothing comes up! Forget gifts I’m keeping this for myself! It reminds me of the 20,000 Leagues Under the Sea stuff at Tokyo Disneyland!! But they don’t sell stylish grog at Disneyland arrgggghh! I would love to have one of those boxes. I love a good rum. I also love drawing so the feather and ink would be amazing. I don’t drink spiced rums, so I am interested in trying this one as it seems to be a high end rum. Low end spiced rums are beyond terrible. 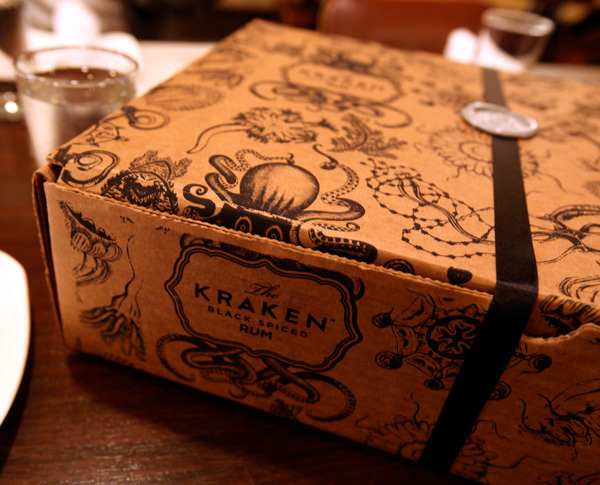 Where did you get this box, and where can I get one? These look like awesome X-mas gifts. 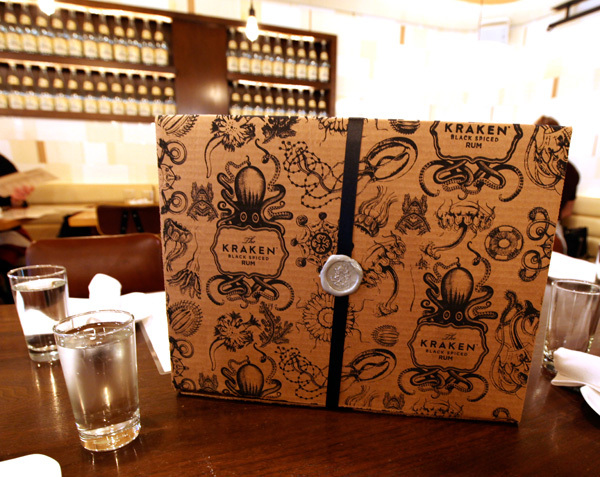 Do you know if it’s still possible to get a promotional Kraken Box? 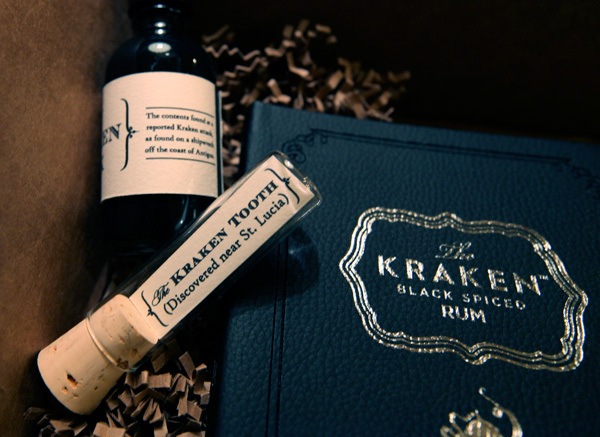 My best mate is actually nicknamed “The Kraken” and this would make the most perfect gift of all time. I could ruin every Christmas after that and it wouldn’t matter! 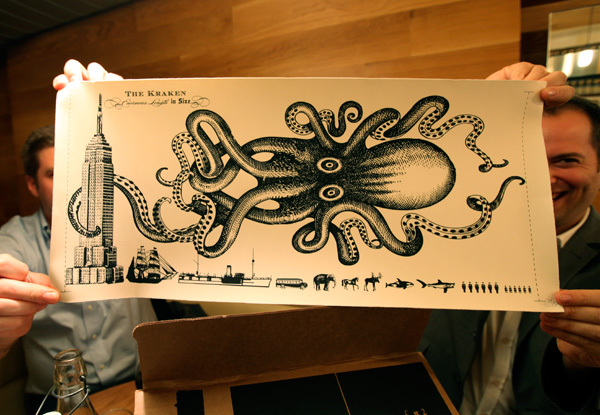 This is stunning and I keep feeling nervous that I won’t be able to get one! I would love to snag a few of these to hand out as Christmas gifts. 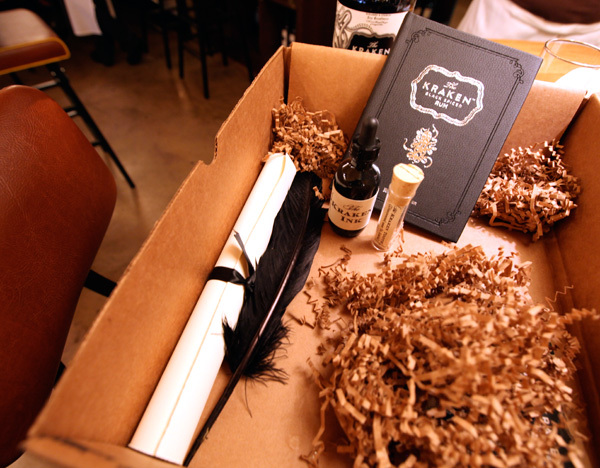 Will this set be made available for purchase or is this just a special presentation of the product for reviewers? Anyway, as always Not Cot brings the coolest things to my attention. Thanks! Amazing. I am a rum man, through and through. I can’t stress enough how wonderful a good rum can be. Next time you’re in a bar, take a careful look at the liquor selection. There are top and elite shelf vodkas and whiskys, but rums are still well quality at best. Captain Morgan? Really? That’s usually as good as American bars go. If you’ve ever had a good Chilean Pisco with a real, organic cola made from sugar can (and NOT high fructose corn syrup), you know precisely why I complain. 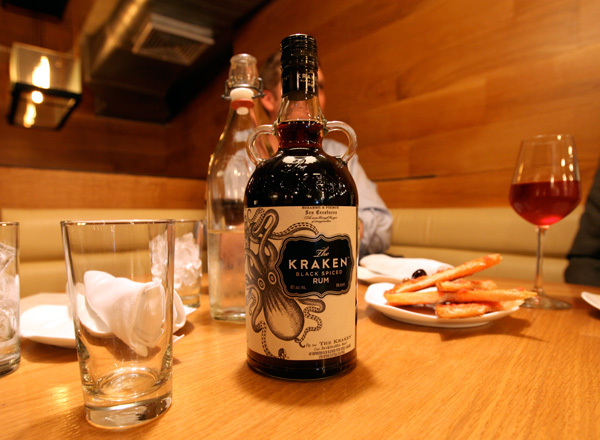 Rum can be amazing straight, but you’ll never find a rum good enough at your local bar to suffice. 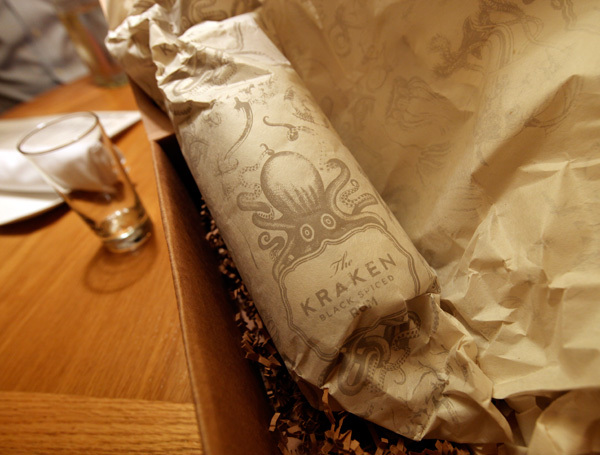 I’m PUMPED to try Kraken Spiced Rum. These photos were perfect, Jean. I love it. I wrote up my own take on my site, but I wanted to be sure to pay a special thanks here. 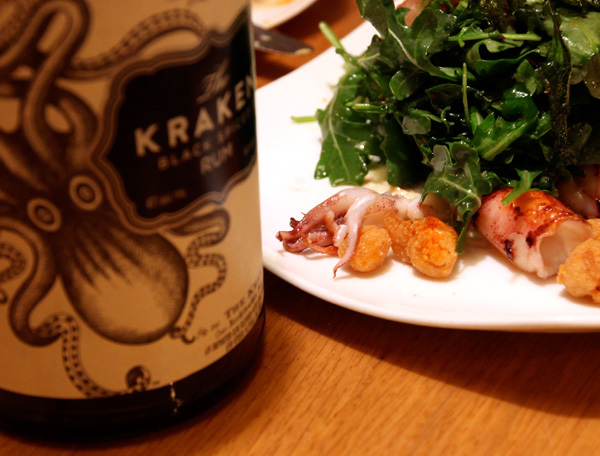 Rum can be a special thing— when produced right (Kraken) and introduced by a wonderful, trusted source (notcot). 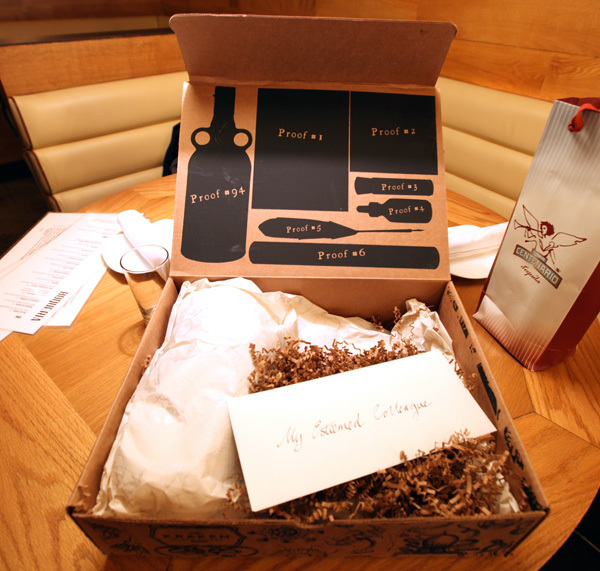 They thought of everything, the detailing on this package is awesome! 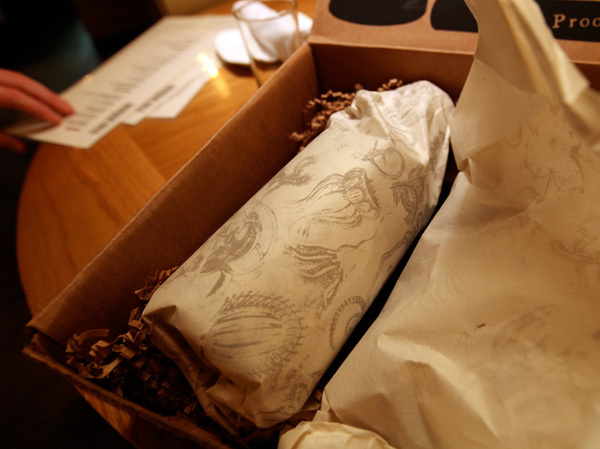 Wow - that’s some seriously gorgeous packaging! 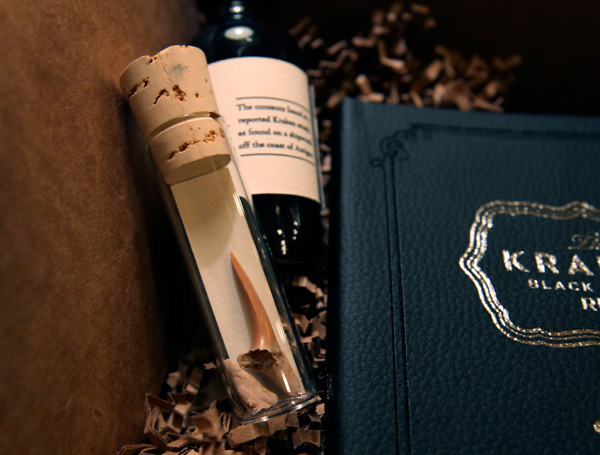 I love how much thought was put into this - the vial with a tooth, the ink, a FEATHER! Amazing.